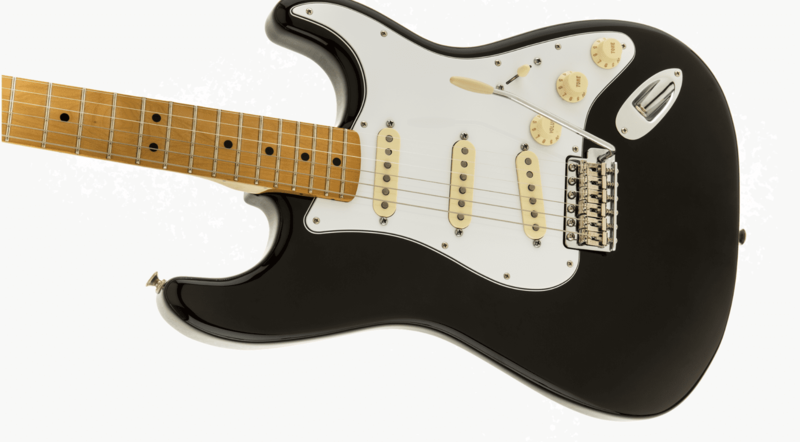 Fender have announced a new Jimi Hendrix Strat, which is just starting to appear now in UK stores. It’s a Mexican-made instrument and features a classic ‘60s styling, just with some reverse features to emulate the late guitar hero’s unique use of an ‘upside down’ Stratocaster. 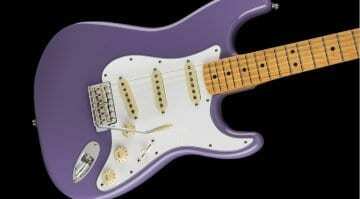 The Fender Jimi Hendrix Strat is an official Hendrix guitar. 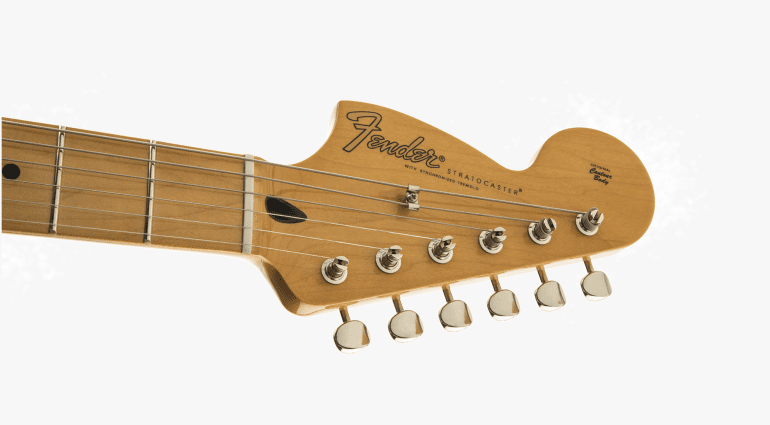 I say this as there have been a few un-official ones from Fender in the past. 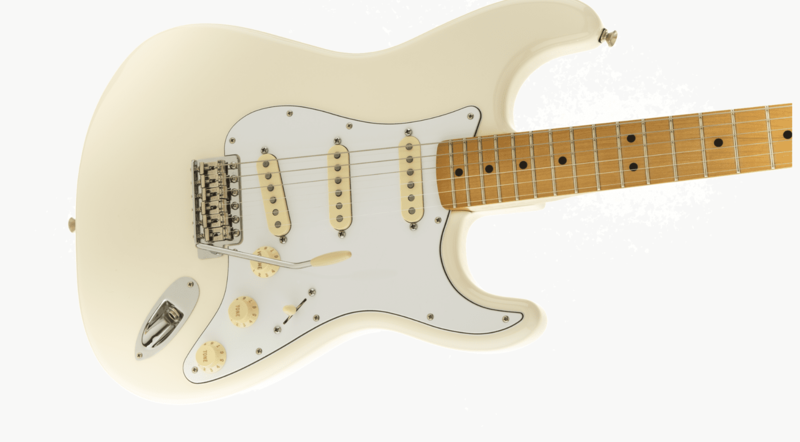 It is a classic 1960s CBS-era style Strat, so a large headstock – which is reversed on this model – and a maple neck like the one Jimi played at Woodstock. 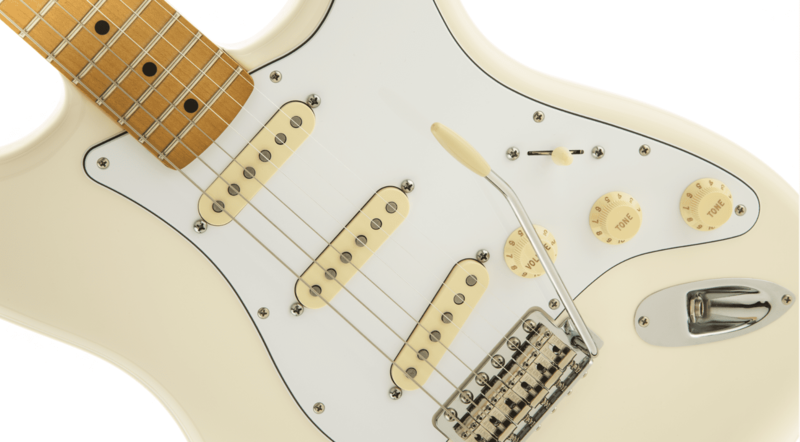 A key feature is the reverse angle on the bridge pickup which is Fender’s way of emulating the reverse nature of how Jimi played a right-handed Stratocaster upside down, so that this pickup accentuates the strings in a different way to a regular Strat. 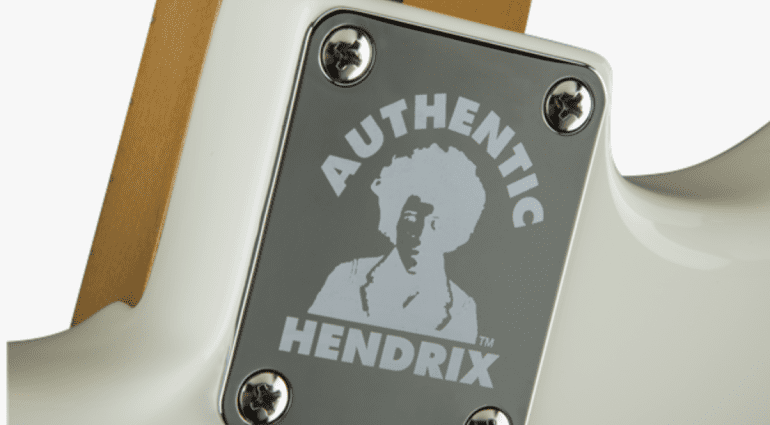 The bridge pickup also has no tone control which is again consistent with how they were wired during the late ‘60s. It makes the tone a little sharp for some, but is period correct. 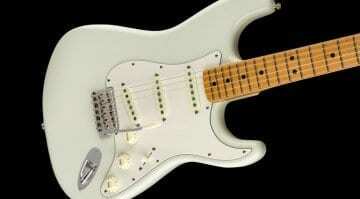 The maple neck and alder body of this guitar are standard for the era. 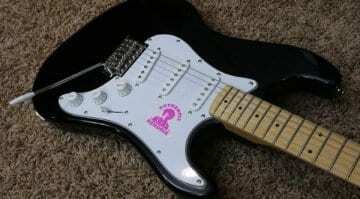 You can pick this guitar up either in white or black polyester finish. Both guitars feature a white pick guard and plastics. No nitro here, as they weren’t using it in the late ‘60s and Hendrix would have played a guitar with a finish just like these ones. The guitar has a classic six-screw vintage-style bridge and these sound great. However, they do need some maintainance to get them to return to pitch correctly. You often saw Hendrix retuning his guitars mid-song when playing live. That was in part because these old guitars had a few tuning stability oddities, but you can easily get around them. Lastly, each guitar features an authentic Hendrix neck plate with Jimi’s picture etched into it and which holds the bolt-on neck in place with four bolts, unlike the later ‘70s three-bolt Fender necks. Watch the Premier Guitar review below to get a feel for what it can do. 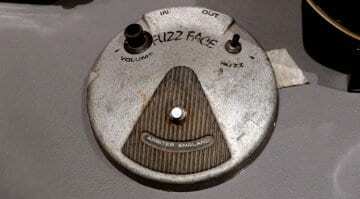 Jimi Hendrix-owned original ’67 Arbiter Fuzz Face up for grabs!